Windows 8 is infamous for its start screen. But other than that, is Windows 8 a good OS? OSes, applications , interesting programs and more! 32-bit Windows 10 allows you to use VPC, but 64-bit Win10 does not. 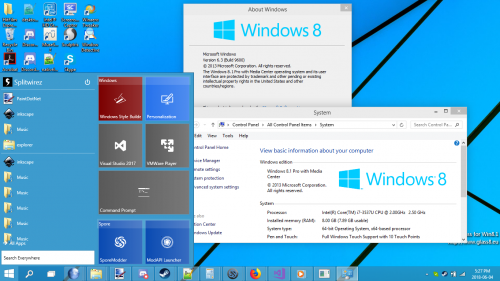 Windows 8 (and Windows 8.1) is worth using even without the Start menu—in fact, the Start screen itself should provide an incentive for its use. It is in many ways an amazing and modern operating system, but it is unfortunately marred by the perception that it was designed exclusively for touch devices when this is not true. Why do you regard it as terrible? 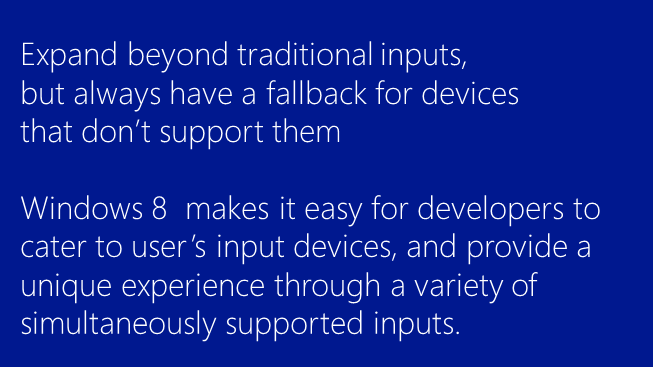 There are many real, tangible benefits of Windows 8 (and Windows 8.1). An incredibly elated user of Windows 8.x—the beautiful, egalitarian, futuristic, and powerful operating system. 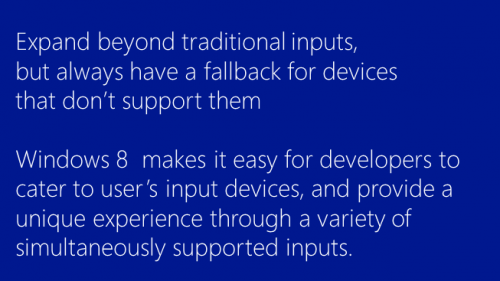 Windows 8 was percepted like another Vista, and has a similar history. The main difference, is that the Vista problem was the OS itself being heavy (For PCs of such times) and a quite unfinished RTM (the SPs solved most of its issues), while Windows 8's problem was its underrated interface, which was a big change to what the people was accustomed to. That's why software companies should release a public RC to see what the people thinks, so you'll have chance to regret. Last edited by SistemaRayoXP on Sat Jun 02, 2018 5:54 am, edited 1 time in total. In my opinion, Windows 8 is good. I mean, there are a lot of people who dislike the start screen, but I was a fan of it. C O L O R S ! ! I am not a fan of its ui but the OS itself is good. There were three public test versions released and Microsoft was clearly aware of the negative feedback. They chose to ignore it and this was the consequence. After all, they probably couldn't afford to reset the development from scratch. According to my experience, I see Windows 8 as a slightly lighter, faster and better Windows 7, with the main difference being just the old start menu replaced with the new start screen. It already felt snappier than Windows 7 since the first official build I've tested, the 8102 one. I've also enjoyed those small, cool improvements such as the brand new Task Manager, file copy dialog, and those refinements and additions to the Control Panel. The only things I didn't like about Windows 8 are the removal of the good, old Windows 7 games, the removal of the Gadget Gallery, the removal of Flip 3D (nooo) and the removal of the windows transparencies, as I didn't really like the new metro theme that the final build sports (it looks like it's been done while being in a hurry), I would have rather kept the Release Preview theme, it fits better and doesn't create useless inconsistencies (a metro style theme and aero style icons, duh!). Overall, I like Windows 8, if somebody really hates that start screen so much there are many programs available that bring back the old start menu, so it's not a big problem after all. Anyone who criticizes Windows 8 or Windows 8.1 because of the Start screen should read the excellent blog posts at the Building Windows 8 blog that describe and/or illustrate the details that went into its design. As demonstrated in the third post—contrary to those who believe otherwise—feedback was addressed; of course, Microsoft was not going to change course, so to speak, in regards to the Start screen by adding or retaining the Start menu—such a decision would be contrary to the goals set forth. It is a true shame that this level of detail is so far not seen in any iteration of Windows 10. Windows 8.1 is the OS I've had the least problems with, as it worked well on any hardware I threw at it (Pentium 4 478/775, Core Duo, Sempron 754...) and almost never crashed. Also, the Metro interface isn't bad at all if you are willing to accomodate to it, which a lot of people refused to do. This OS is by far the best one I have used yet. It is extremely fast, even for my 1.9 Ghz Intel Core processor (4th gen) and was really stable. Charms was very usefuI and the Start screen did took some time to get used to but I love it. I felt Microsoft took out all the good things about Windows 8 in Windows 10 like Onedrive and that horrendous Start (which is a UWP by itself). I could imagine using Windows 8 with the Start Menu that was first seen in Windows 10 build 9833 (milestone build). If anyone like to, we can start a project to port the Start Menu to Windows 8. Charms were underrated. A consistent location for application settings is a Good Thing™. I could imagine using Windows 8 with the Start Menu that was first seen in Windows 10 build 9833 (milestone build). If anyone like to, we can start a project to port the Start Menu to Windows 8. You are referring to port the Windows 10 build 9833 start menu, right? Is that the same one as in Windows 10 Technical Preview build 9841? ...also, on a more thread-relevant note, I'd honestly say that Windows 8.1 is my favorite version of Windows, easily beating 7 in performance without sacrificing stability. And that's coming from someone who despises the Start Screen and forced-fullscreen apps, metro or otherwise ._. My problem with windows 8 was you had two competing desktops that performed two very different things. Metro apps that ran inside the tile interface, only showed one application at a time. The desktop which for the most part was like the desktop in 7 except you had to switch to the metro ui to launch applications from the new start screen. It felt like you kept flipping between two competing places of work. Also having two different control panels didnt help either and still doesnt, honestly I wish they would fix that in windows 10, as I find myself just using the older control panel for the most part. In a way, Windows 8 was "too advanced" compared to what people wanted. MS thought they would push a touch interface, but PC users are a conservative kind, and they just wanted their interface to stay the same. So Windows 10, which in a certain sense was a regression compared to version 8, was better received precisely because it was not as iconoclastic as its predecessor. Of course, there's still people who prefer version 7, despite the fact it is nearing 10 years of age. Yes, that's the one. I was also thinking of porting in the updated version of the Metro Apps from this build (9841) like Store and Calender so that we can also have windowed apps (don't worry these apps are no longer being updated by Microsoft). All we need is someone who can code the apps and the Start Menu (can't tell what code it's made up of). But Metro is not a touch interface—it might be optimized for touch but it is not designed exclusively for touch. Even the development model took other methods of input into consideration—stylus, mouse, even other forms of input such as an Xbox controller—to the point where one could "design for touch, get mouse for free" (more accurately, "code for pointer or gestures, get touch and default mouse and pen behaviors for free"). 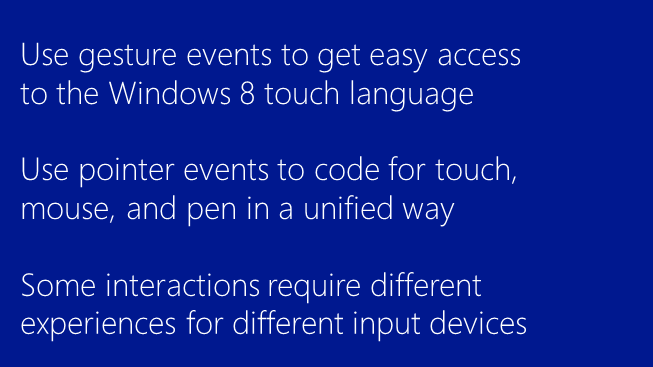 With Windows 8 touch is finally a first-class citizen along with the mouse. 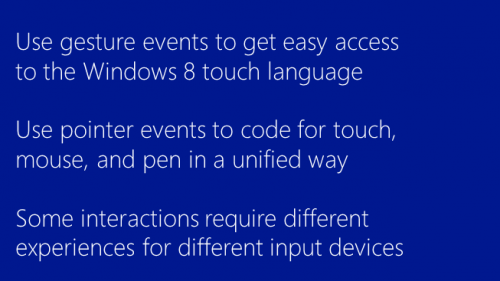 An example of detail that went into the design of the Windows 8 Start screen: When multiple applications are pinned to the extent that it requires the user to scroll to navigate, he or she can swipe with his or her finger to scroll—but when using a mouse, it is possible to approximate this behavior by simply moving the mouse cursor at the edge of the screen, which causes the interface to move in the direction of the mouse cursor! The scroll wheel—and even the scroll bar—is no longer required to navigate the Start interface when using the mouse! All we need is someone who can code the apps and the Start Menu (can't tell what code it's made up of). ...you do realize that was a screenshot of Windows 8.1, not build 9841, correct? Not Windows RT 8.1, straight-up Windows 8.1 Pro with Media Center, x64, build 9600. But is it fully functional, and includes all of the features and animations? I already read the edition and the build number. I just want it to behave like the Start Menu from early Windows 10 Technical Preview builds. Besides, isn't the API for this particular Start Menu based off on Windows 8? But is it fully functional, and includes all of the features and animations? I already read the edition and the build number. I just want it to behave like the Start Menu from early Windows 10 Technical Preview builds. Besides, isn't the API for this particular Start Menu based off on Windows 8? The original was, but this one isn't, allowing it to run on other versions of Windows as well. So then how can we port the original Start Menu to Windows 8.1? I know for a fact that it's possible as it was done in Windows RT (by Microsoft of course). I would say that 8.1 is good. 8.1 does not have the spying problems of Win10 and you can always use Classic Shell.